Made of high quality plastic and it comes with white LED light. 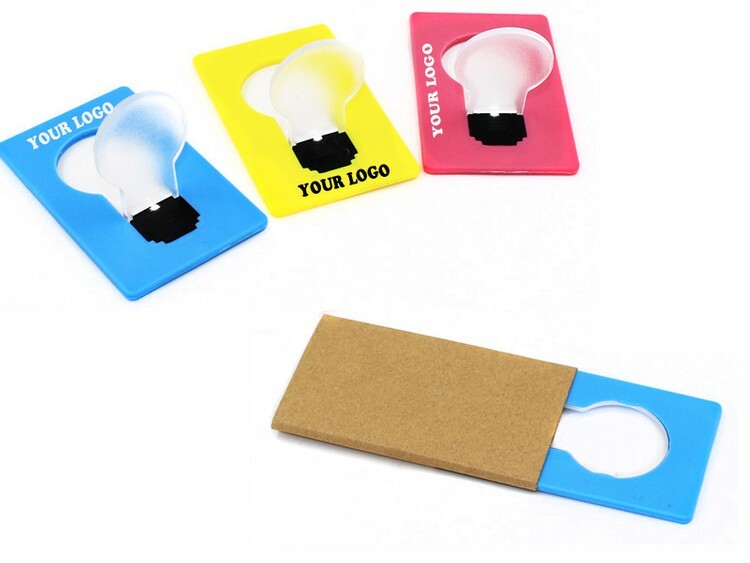 Same size as a credit card, the bulb portion flips up for instant light on its own little stand. Pull up the Bulb up, the LED light will be turned on. Put the Bulb down, light will be turned off. Kraft paper packing makes it a nice gift for your anniversary and celebration activities.